Creating value and offering great information to your audience and potential customers is key in acquiring and retaining your social media following. Creating snackable content is one way to achieve these goals through visuals, drive traffic back to larger pieces of content, while also having content for your content schedule. In this post, I’ll review how to create this kind of content to support your social media goals and growth. There are so many free phone apps and web tools like Canva, Pablo by Buffer, and Phonto to help you create quote visuals. Try a few and pick your favorite. Videos are all the rage (and drive the most reach at the moment). Get out there and show us some behind the scenes action or a tease of upcoming event on Instagram Stories, or get a Q&A going on Facebook Live. Videos don’t have to be overly complicated. 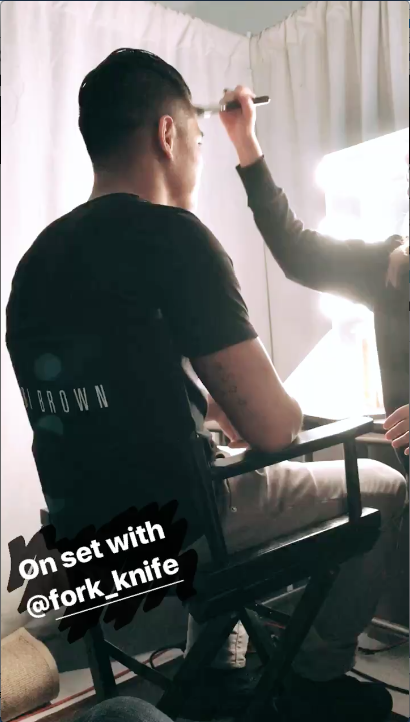 Below is a screenshot of a behind the scenes Boomerang I shared in my Instagram Story on set with one of my favorite clients. Snackable content is a great way to remain consistent, give value to your audience, and expand the online footprint of your brand. Think about how you want your audience to see you, and what value your snackable content is adding for them. Focus on creating really great visuals. Whether that’s an industry fact, or an uplifting quote, a live video or quick how to – snackable content can also help you develop and represent your brand voice, while connecting with your core audience (hopefully turning them into the next level: brand advocates). Social media & digital marketing have become my 2nd love. Living and blogging from NYC on DhariLo.com. Co-Founder, Supremacy Marketing.